This entry was posted in Cheesemaking General, Recipes and tagged asedero, cheesemaking, easy mozzarella, oaxaca, ochoa cheese, pasta filata cheeses, provolone, quick mozzarella, stretched curd cheeses. Bookmark the permalink. ← Do Aged Cheeses Contain Probiotics? Mozzarella is my nemesis, if one could have a cheese arch enemy, I have more failures than success, thanks for posting this. I have always heard that Calcium Chloride was bad for quick mozzarella, next time I will try adding it. Just so you don’t feel too badly, I was making curd today – to take to the class I am teaching on Sat – and the pH went WAY quicker than it should have and ended up at 4.85, and of course, wouldn’t stretch. It is a tricky cheese! Adding CaCl2 may or may not help the quick version. I hope to come visit your part of the country someday. I have another cheesemaker buddy down there, Godofredo, that I want to visit. Hi Elizabeth, while they won’t stretch, you can still use them as cheese, chop them up and use in cooking or on salads. Hope that helps! so, is this why i HAD mozz rocks?? i did find another answer for said quick cheese, just give a busy gurl some time & she will come up with some easy answer, not a chemist’s answer like you have, but i get what you are saying… any answers as to why we can’t get ricotta to set up??? It is not really easy to do, unless you have equipment, Sorry! Watching them make it at Ochoa was really enlightening as to the amazing labor involved to make more than a tiny batch. I have made the traditional mozza several times, and though each time the flavor was quite good, the texture was much more like mozza for grating on pizza. Today I did the hybrid method, and I have a success story for a lovely caprese salad! Thank you!! Now if I could just figure out, why?! It is a tricky cheese! Glad Christy’s hybrid method worked so well! I am making several cheeses from your book including greek feta and pasta filata by the “traditional method” that you also include above. I am using 2X vegetable rennet and have used both thermophilic mother that I made from a starter pack and direct set. I believe I am doing everything according to the directions but in each case, the curd formation has taken 3-4 times as long as mentioned. I have only an inexpensive pH meter but it seems to be reasonably reliable and it is telling me that the milk (commercial pasteurized milk from the supermarket) starts at a pH closer to 7 than 6 and I am finding the acidity takes a very long time to develop both at the initial stages and during the aging for stretching. At first I suspected the quality of the mother I made but now I am having the same problem with direct set. I am wondering what your suggestions would be to correct this problem. I should add that I love your book and, as a scientist, I really appreciate the technical sophistication. Hi Curt, I believe the problem is the milk and it’s high pH. What I would suggest trying is adding some mesophilic culture and ripening it first that way until the pH is about 6.5. If you cannot check pH that accurately, try it anyway and see if it helps. 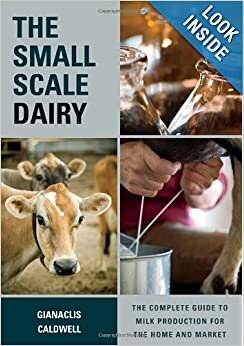 Many of these traditional recipes (which is what I used) are designed for fresh, raw milk that has a decent amount of its own mesophilic bacteria and is also in better shape for ripening. The book is in its second printing and I made a few changes to that recipe to try to address this problem. You aren’t the first one to have it! Thank you for your comment and let me know if this helps. If you do FB, you can message me easily on my author page. 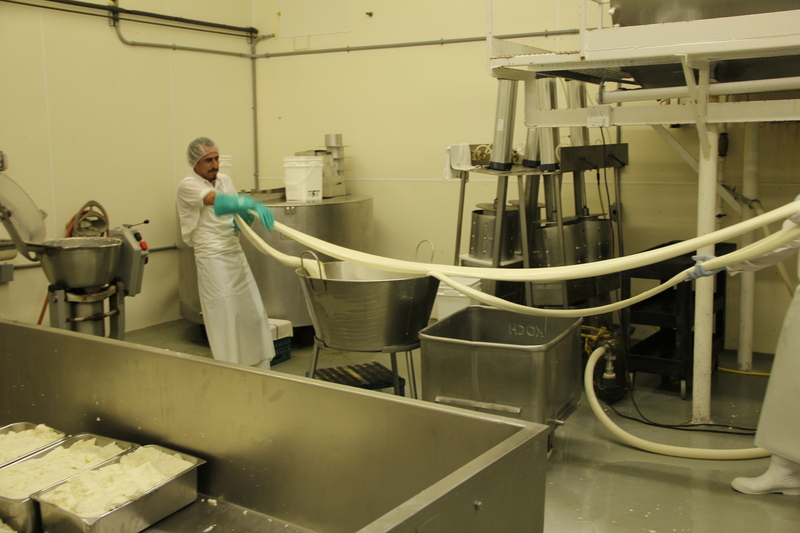 Hi, will be possible to have a video of the making of the pasta filata cheeses?. I’ve tried three times using the recipes from the book but the curd never gets as shown in the book. In spite of a PH reading of 5.2 over a couple of hours, as soon as I put the curd in the hot whey, the curd melts away!!. The texture of the curd is somewhat crumbly, is not as smooth as in the book. I am using Raw Cow Milk (but I also tried with Organic Pasteurized milk), Thermophilic culture and Animal rennet. I also tried the hybrid method yesterday without success. So far, the only way it works is with the quick 30-minute method. Perhaps a video or more pictures will help me to spot where I might have the error. Thanks. I am sorry you are having so much trouble! Send me an email and we’ll go over the details and possibilities. We can post our results here, but since it could take some back and forth, let’s do it first via email. gianaclis at gmail .com no spaces, of course! 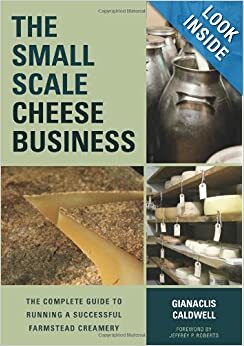 Hi, recently I bought your book and I think this is the best book for cheese-making. I am sure one can find an answer for almost every question if he reads carefully. I have problems making caciocavallo and kashkaval from goat milk. Initially the milk pH is 6.5 ( at least my pH measures this). I use raw whole milk from a local farmer. After following all steps I leaving the curd for more than one day and the pH is 6.0. Of course the stretching is not possible. I use Bulgarian yogurt as a starter culture. I wonder is it needed to wait few days to reach the goal pH of 5.1-5.3 or there is something special with the goat milk? The temperature in the room is approx. 18C (65F) or less. Maybe I have to maintain a higher temperature? Thank you again for the good book and thank you in advance if have possibility to give me a hint. Hi there, I am glad you like the book! I would definitely suggest switching to a different culture, the yogurt culture needs temperatures that are much warmer than used in ripening milk for mozzarella. Try buttermilk, if you don’t want to buy any powdered cultures. You most certainly don’t want to wait more than the make day to get to the right pH or other things will have grown that could be harmful! 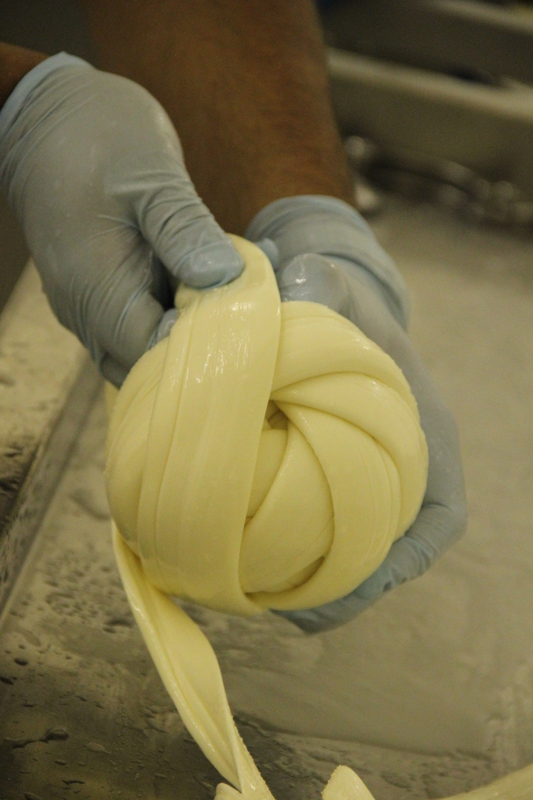 Goat milk will make pasta filata cheeses, but it can be tricky just due to the time of year. A start pH of 6.5 is a little low, indicating that maybe the milk wasn’t chilled fast enough to prevent a little of the native lactic acid bacteria from doing a bit of fermentation. It should be closer to 6.6 when you start. Give it a try again with the buttermilk and let me know what happens! I think my problem is the calcium chloride or I need citric acid. Next time I try it I will inform you about the results. I have read that I don’t need to use Calcium Cloride if I am using raw milk. Do you agree with that? Oh, just noticed the recipes say optional. Thanks! Sure thing, it kind of depends on the milk – not whether it is raw or not, but how much calcium phosphate it has. For example, some goats don’t have as much alpha s1 casein and therefore not as much Ca Phos. You might need a bit of calcium chloride for that. 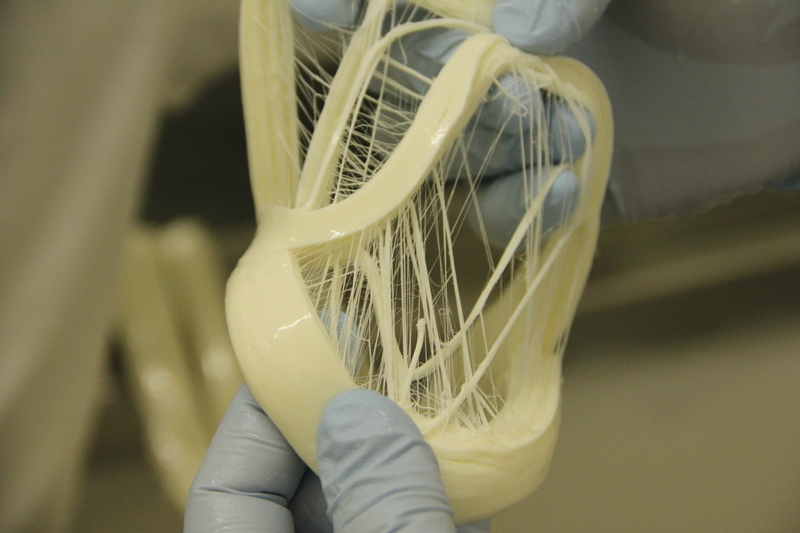 Pasta filata cheeses need to lose a decent amount of Ca Phos during the make so that they will stretch. So it’s a matter of trying it without the CaCl2 and seeing if it works. I hope that makes sense!